At the end of February 2019, Daniel Loeb’s Third Point published its Q4 2018 Investor Letter, in which it shared its views on a few companies from its 13F portfolio. You can track a copy of the letter – here. Among the stocks it discussed was Baxter International Inc. (NYSE:BAX), the fund’s largest position. The fund reported about Baxter’s operational excellence, with the company achieving operating margins of 17.4% in FY 2018. Baxter remains the firm’s largest position and Third Point Partner and Head of Equities Munib Islam serves on the Board of Directors. In past quarterly letters, we detailed our initial investment thesis and highlighted the extraordinary transformation that CEO Joe Almeida has overseen at the company since joining at the end of 2015.Baxter has generated more profits than any investment in our history.We have used open windows to maintain the size of the position as it has grown through appreciation, the best reason to have to right-size an investment.Today, we remain enthusiastic about the direction of Baxter and the investment opportunity ahead.As a framework, we use the three major growth vectors that Joe outlined during his first investor presentation in January 2016: 1) operational excellence; 2) capital allocation;and 3) portfolio optimization. Operational Excellence: Without question, Baxter has clearly improved operational efficiency over the last three years. The company just reported FY 2018 results, achieving operating margins of 17.4%. And the company expects to extract further efficiencies over the next 5 years, targeting 2023 operating margins of ~23-24%. Capital Allocation: Since January 2016, Baxter has returned $4billionback to shareholders through share repurchases and dividends, and used another $1billionfor business development purposes, acquiring the generic injectable pharmaceutical manufacturer Clarisin 2017 and two approved products from Mallinckrodt in 2018.Despite this activity, Baxter remains underlevered versus peers, with a net debt to EBITDA ratio below 1.0x vs the group at 2.0-2.5x.The balance sheet flexibility should allow Baxter to continue targeted business development efforts,although we fully expect the company to remain disciplined in its efforts. Portfolio Optimization: Portfolio optimization at Baxter can be divided into two areas. Over the past three years, the company exerted more discipline over its existing portfolio, voluntarily walking away from low or negative margin contract business.Further, Baxter refined its R&D efforts to focus on high value strategic projects. Over the next 12-24 months, Baxter expects to start reaping the fruits of its labor with several new product launches including Spectrum IQ and Evo IQ pumps, and new generic injectable drugs. The innovation cycle should serve to drive revenue growth acceleration and contribute positively to underlying operating margins. We retain high conviction in Baxter based on expectations of continued development across the three vectors that should sustain earnings growth and free cash flow generation over the next several years.We have confidence that Joe and his management team will continue to execute on his strategy, driving Baxter forward and delivering substantial returns for its investors. 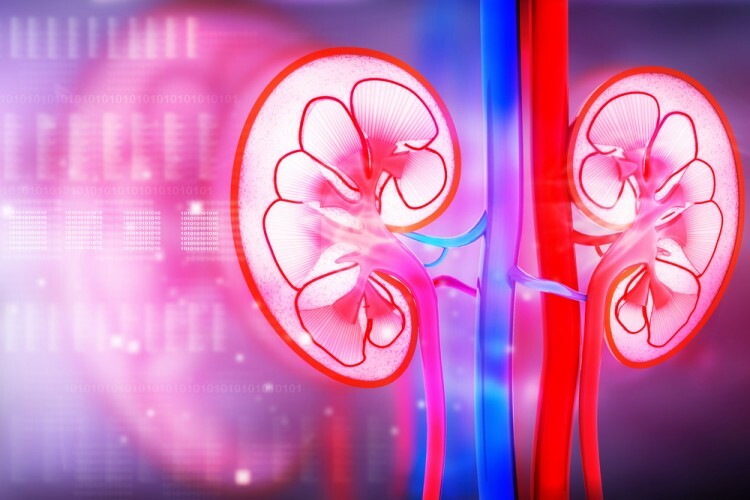 Baxter International is a Deerfield, Illinois-based Fortune 500 company that mainly works on medical products for treating kidney diseases, hemophilia, and immune disorders. Year-to-date, the company’s stock is up by 24.87%, having a closing price on April 2nd, of $81.54. Its market cap is of $41.68 billion, and the company is trading at a price-to-earnings ratio of 27.37. Heading into the first quarter of 2019, a total of 36 of the hedge funds tracked by Insider Monkey were bullish on this stock, a change of -16% from the previous quarter. 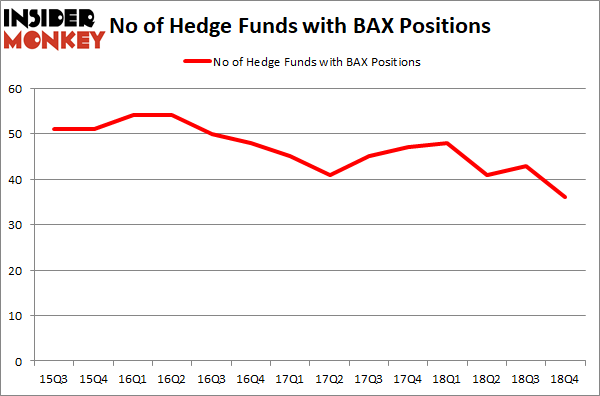 Below, you can check out the change in hedge fund sentiment towards BAX over the last 14 quarters. With the smart money’s positions undergoing their usual ebb and flow, there exist a few noteworthy hedge fund managers who were boosting their holdings significantly (or already accumulated large positions). The largest stake in Baxter International Inc. (NYSE:BAX) was actually held by Third Point, which reported holding $1843 million worth of stock at the end of September. It was followed by AQR Capital Management with a $336.4 million position. Other investors bullish on the company included Point72 Asset Management, Healthcor Management LP, and Starboard Value LP. On March 5th, Morgan Stanley raised its price target on the stock to $83.00 from $80.00 with ‘Overweight’ rating.